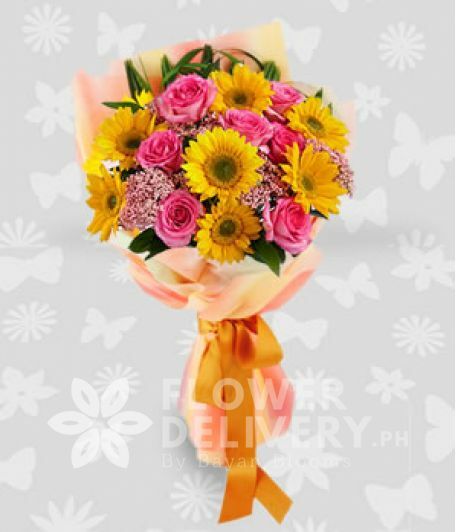 A round bouquet of 1 dozen mixed yellow gerberas, pink roses, and pink carnations in a bouquet. A bouquet of 1 dozen pink carnations with 15 inches brown hug-gable bear. *Other accessories on t..